I just had to make sure everybody saw this one. So cute. Previous Post Even More Video: Bath Time! I brought this one to church today and got lots of oohs and aahs. 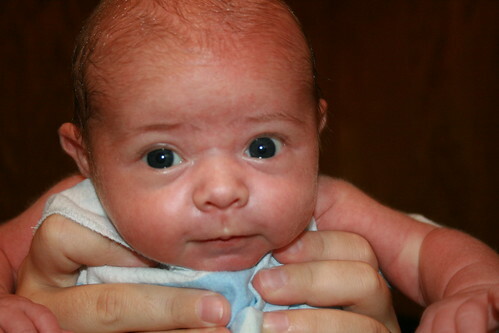 Many commented on what beautiful eyes he has and how bright he looks for just two weeks old. I don’t ooh or ahh. In fact, I don’t think most babies are cute, but I’m smart enough to keep that to myself. Your son is, however, cute. In the event that we should ever share a friend that has a garden-variety baby, please do not explain my silence on the matter to them.